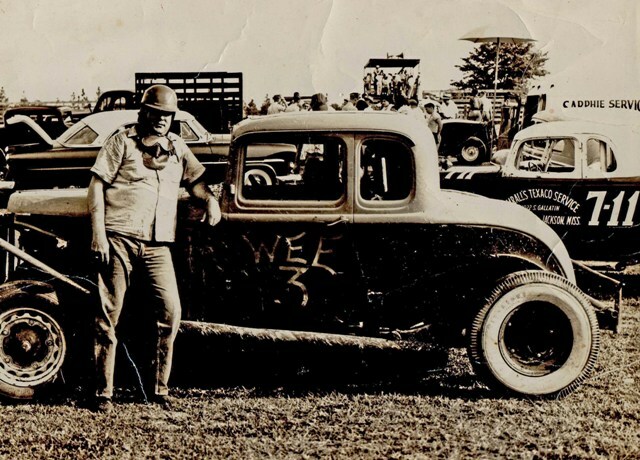 Email from Patricia Hilton Walley: Attached are the photos I have of my daddy and his race car. Been trying to get all identified. In the first photo the man in the middle is my daddy, Ben Jack Hilton. The man on the left is Frank Lutz, one of the owners and we think the one on the right of the photo is Calvin Murphy all from Richton. We are not absolutely sure that is Calvin Murphy, but from all accounts it must be. If you find out different please let me know. Can't identify where this photo was taken or the exact date. 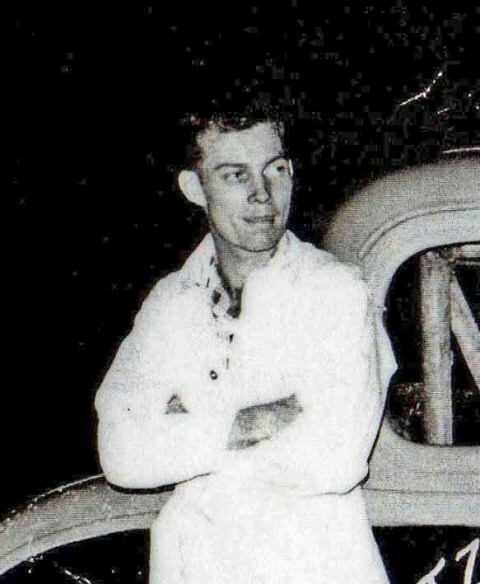 I know Ben Jack raced during the 1950s and built his own car. Daddy stopped racing toward the end of the 50s and got his barber's license. He was killed in an auto accident on September 27, 1962 as he drove back to Richton from Meridian where is barbered. The second photo we cannot identify this man. 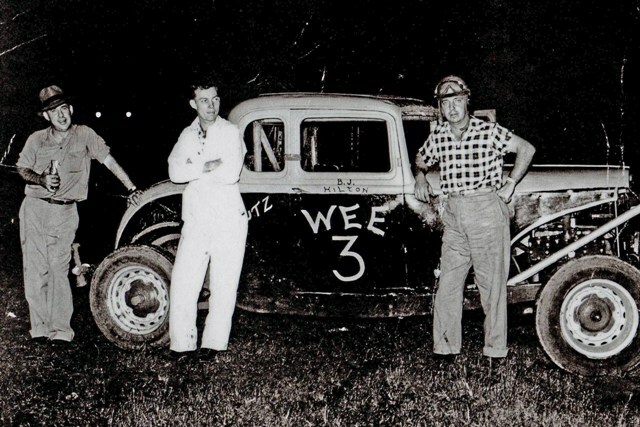 The car belongs to Ben Jack Hilton and it was taken at the Jackson Speedway about 1955-56. If you find out who this is please let me know.